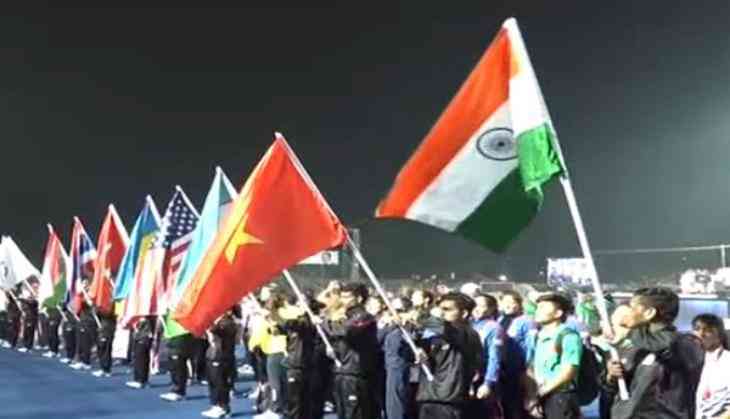 World youth women's boxing championship, which saw the participation of players from more than 30 countries, was hosted in Guwahati's Md Tayabullah Hockey Stadium amid much fervour. The championship was inaugurated by Assam Chief Minister Sarbananda Sonowal. Addressing the crowd, he said, "The youth women world boxing championship is a great event for all of us particularly for the Boxing Federation of India and the International Boxing Association". The championship saw 200 participants from over 30 countries and everyone was seen carrying their flags high in the procession. Organised by the International Boxing Association, the championship is aimed at focusing its spotlight on talented young female boxers from around the world. Olympic Indian Boxer MC Mary Kom graced the occasion and added glory to the event. "The presence of Mary Kom, the Brand Ambassador of Boxing Federation, has always been a source of inspiration for us. I am proud of her achievement. I believe she will be the role model of the boxing fraternity," the Chief Minister added. In a press conference held earlier, Kom had said, "Assam has given a lot of facilities in sports sector and the talents are emerging well. They will definitely come up with flying colours." "We have so many talented youths in the region and while I attended trial selection I met the female boxers who are really promising and one day they will be champions," she added. While the crowd cheered the young players, the boxers showed their immense capabilities in the sport with various tactics and techniques in the forefront. Ten strong member contingents from India took part in the event of different weight categories including 18 years old Vanlalhriatpuii from Mizoram. In 54-kilogram category, Shashi Chopra played against Uzbek opponent while in 60 kg category, while Mizoram's Vanlalhriapuii gave a tough fight against a Korean player. The first day of the tournament saw a gruelling match between Indian player Aastha Pawa and Bulgarian player under 69 weight categories. Aastha Pawa said, "I want to reach till finals and play much better and achieve a gold medal. It was my first bout but now I think I will play well in the future. I will nourish myself well for the future tournaments." This championship is the qualifiers for the Youth Olympics that will be held at Buenos Aries next year. Such championship will not only act as a huge platform for the young talented female players but will also help them in a way to nurture themselves with required skills to compete in other international tournaments. The championship started on 19 November and is scheduled to end on 26 November.